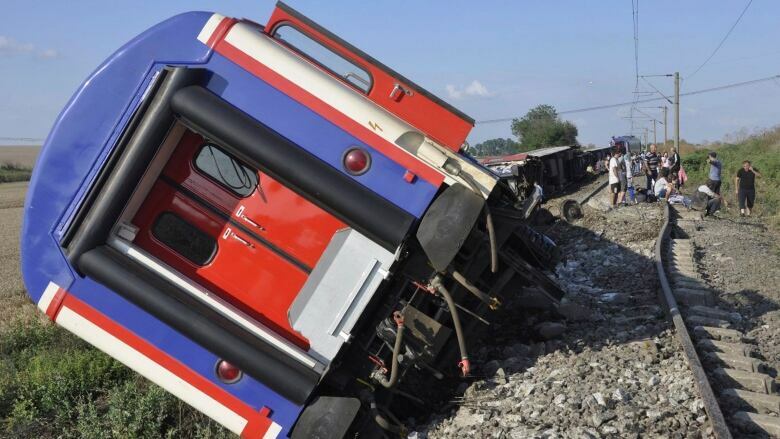 A top Turkish official says 24 people were killed in the derailment of a passenger train in northwestern Turkey. Deputy Prime Minister Recep Akdag said Monday that heavy rain had caused the ground under the rails to collapse, causing Sunday's crash. Transport Minister Ahmet Arslan said seven other trains had used the route earlier Sunday but the rain caused "extraordinary swelling." Judicial and administrative investigations were launched.